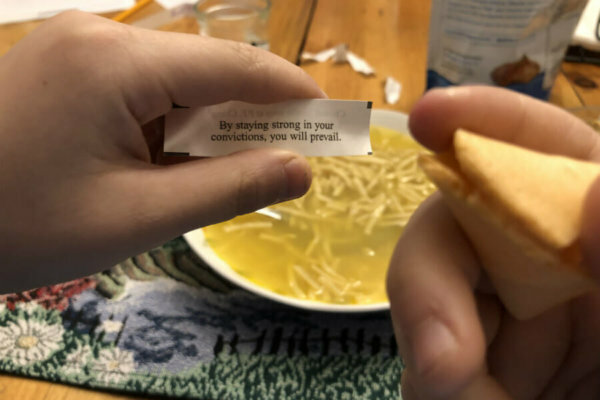 We had Chinese food the other night, and we had a pile of fortunes on the table. I love fortune cookies, even though I know they are a Chinese-American tradition, rather than a Chinese one. You get a cookie that has a little note just for you inside. What’s not to love about that? What is this obsession with the future? More and more I think I don’t really want to know how the story will go. I don’t want to know what careers our children will take on or what lies down the road. Especially with our children growing so quickly, I just want it all to slow down a bit so we can enjoy right now. I sent the boys running around the house to find library books the other night. “We have 26 items out,” I told them. They found 25—which I thought was impressive. It’s a good thing, though, that I didn’t complain that they couldn’t find the 26th. It turned out that my book was the one that was missing. It was sitting on my nightstand, buried in my pile of books. We probably need a better system for keeping track of the library books. 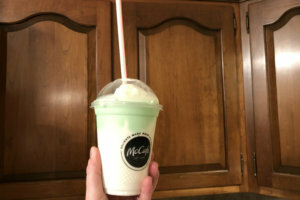 It’s not St. Patrick’s Day season until we go to McDonald’s for Shamrock Shakes. Only half of us drink Shamrock Shakes. The other half want chocolate. But there’s something about that cool minty sweetness that says St. Patrick’s Day. I’ve had corned beef and cabbage twice this week already. I just need to make some Irish soda bread and blare Irish music through the house to round out the festivities. We are even celebrating St. Patrick’s Day with our faith formation class on Sunday. Erin go bragh! I blinked, and our twin nephews are already 17 months old. They are just so cute. 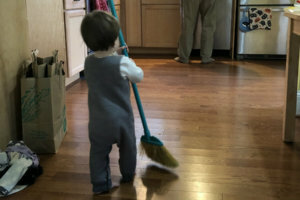 When we were hanging out at my parents’ house last week with a gaggle of cousins, one of the little boys carried a broom around the whole time. He was so proud. Why can’t I find that much joy in a broom—or any kind of housekeeping? 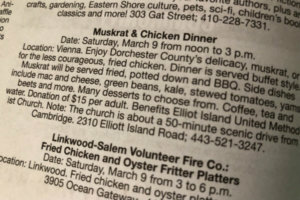 While we were visiting my in-laws on Maryland’s Eastern Shore last weekend, I was flipping through a local magazine and saw an ad for a muskrat and chicken dinner. It wasn’t particularly close, and it was already over, which was a good thing—though part of me would have liked to go just to meet people who like muskrat. I love meeting new people. What I didn’t realize until later was that muskrats are one of the mammals Catholics are permitted to eat on a Lenten Friday. So go ahead and enjoy it. I’ll be across the room happily eating a tuna melt. My brother and his wife and five children came to visit from New England this week, and they went to the zoo. I was a little sorry I didn’t join them for the trip because I thought I would miss out on all the fun. I saw them after they came home, though, and my 6-year-old nephew and 3-year-old niece were all a buzz with excitement. They could not wait to tell me about everything they saw. And, because I hadn’t been there, they showed me in animal charades. They jumped and squirmed and roared and crawled and gave me hints as I tried to guess. I’m sure it was a wonderful trip to the zoo. But there’s no way it was as much fun as those charades. Last Friday I took off a day from work and went for a delightful coffee date with a friend. 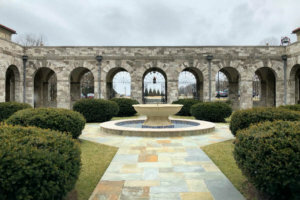 Then I drove with another friend to the Shrine of St. Anthony in Ellicott City, Md. She had never been there before. We arrived in time for Mass, visited the gift shop, and then stopped for lunch on the way home. I let our after-school sitter pick up our boys and made a leisurely stop at the grocery store to pick up a few items for dinner. When I got home, I told our sons how I had spent the day. “And I even got to go to Mass,” I said. Yes, I did. It didn’t feel wasteful at all. It felt perfectly luxurious. But if that was a wasted day, I hope I can waste more time with friends and Jesus this Lent.